Falling into Place starts off with the main character, Liz Emerson, attempting to end her life. She drives her Mercedes off the road and down a steep hill. To her surprise, she survives the fall and is rushed to the hospital in grave condition. Readers then get a glimpse into Liz's life leading up to the day of her accident. We learn that she is one of the most popular girls in her school but, she is also a bully. She uses her popularity to get her way without a second thought to the consequences of her actions. This is a story about how one person's actions cause ripple effects which can lives of the people around them in an instant. If you enjoy books where you fall in love with the main character, this book is definitely not for you. Throughout the book we meet the various people whose lives Liz has graced destroyed. She lives her life with no remorse for her actions no matter how devastating they may be to the people around her. Force is equal to the change in momentum (mV) per change in time. For a constant mass, force equals mass times acceleration (F=ma). 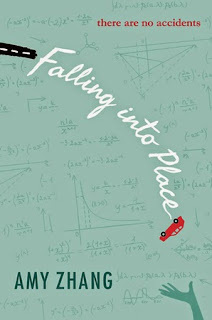 Falling into Place was a fantastic book. The book is beautifully written. It transitions between past and present with ease. After reading this book, it rendered me speechless. Amy Zhang takes you on an emotional roller coaster with a story that will strike you right to your core. I already cannot wait until the release of her next book, This Is Where The World Ends. It already sounds so good! For more information about Falling into Place by Amy Zhang, click here. To learn more about +HarperCollinsCanada visit their Facebook page or follow them on Twitter @HarperCollinsCa. YoBit lets you to claim FREE COINS from over 100 different crypto-currencies, you complete a captcha once and claim as much as coins you can from the available offers.